Moses instructed the Israelites that they were to appoint three “cities of refuge” once they crossed Jordan under the leadership of Moses (Deut. 19:2). The stated purpose of these (as well as the three cities on the other (eastern) side of Jordan, was to provide a safety net for one who had accidentally killed his neighbor (an example given in the text was when the ax head flew off the handle, resulting in a fatal wound). The city to which you would flee would be the one closest to you. You would live there until the death of the High Priest. The following map shows all 6 cities of refuge. The city of refuge to the north in Galilee was Kedesh. 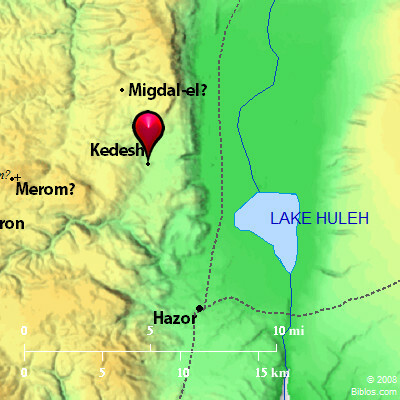 Kedesh in Galilee. One of the cities of Refuge. Photo by Leon Mauldin. In center and to the left you can see the ruins of this ancient city. A Canaanite city in Galilee, in the territory of Naphtali, whose ruler was one of the 31 kings vanquished by Joshua (Josh. 12:22). 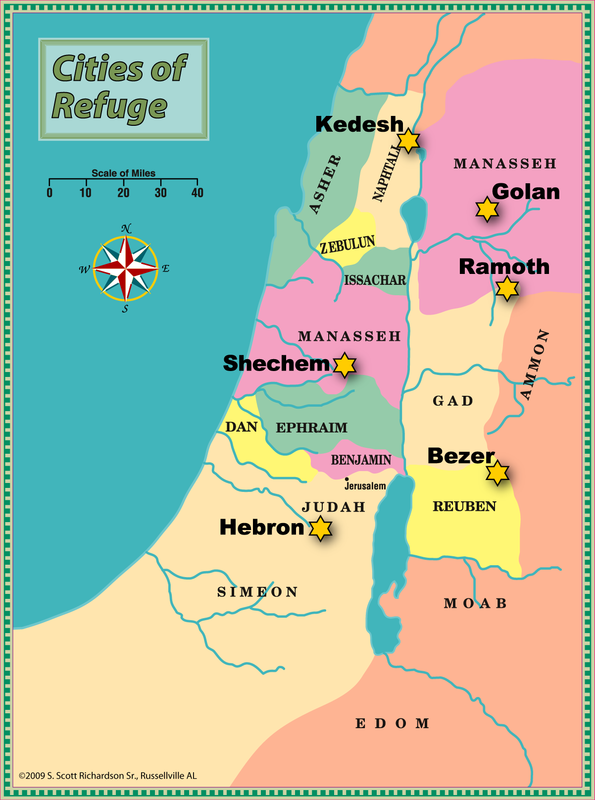 To distinguish it from other cities with the same name it was also referred to as Kedesh in Galilee in Mount Naphtali (Josh. 20:7). It was given to the Levites and was a city of refuge (Josh. 21:32). A name which may possibly refer to Kedesh appears in the lists of Tuthmosis III and in the El Amarna letters. It was conquered by Tiglath-Pileser III, King of Assyria (2 Kgs. 15:29), who deported its inhabitants. In the Hellenistic period it is mentioned in the Zenon papyri. Josephus knew it in a different form as the name of a village in the territory of Tyre (Antiq. ii, 459; iv, 104–5). Titus pitched his camp in the vicinity of the village of Cydasa of the Tyrians, because ‘this was a strong inland village of the Tyrians, always at feud and strife with the Galileans’ (War iv, 104-f). Eusebius (Onom. 116:10) calls it ‘the city of Kydisos’, in the vicinity of Paneas, some 20 miles from Tyre. A Roman temple and a mausoleum of the same period were discovered there. 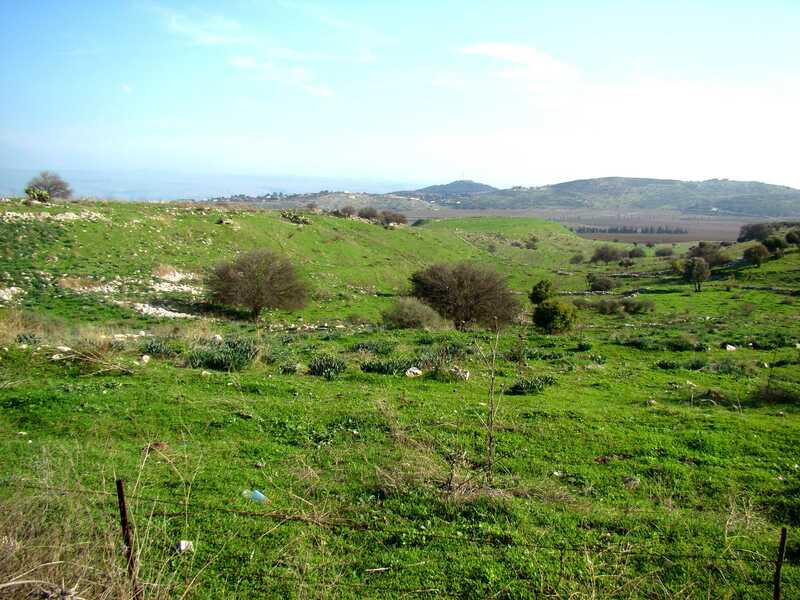 Identified with Tell Qades, 12 miles north of Safed, where there are two ancient mounds, one of which was occupied from the 3rd millennium BC to the end of the Israelite period. Since 1981 the Roman temple has been excavated by a team of Tel Aviv University under the direction of I. Roll. Little of the upper structure of the temple has survived. The entire compound was surrounded by a wall. The temple (60 feet by 54 feet) was built of exquisitely-dressed ashlars. Its eastern façade rose to a height of 33 feet. At the western wall of the shrine is an apse, apparently a later addition which may have held Jupiter’s statue. The triple doors of the temple are richly decorated. On the lintels are engraved Jupiter’s eagle, a wreath in which was a rosette, bunches of grapes, a vine trellis, acanthus leaves, a deer, and a man’s head. According to three Greek inscriptions, the temple was dedicated in AD 117/8 under Hadrian, and repairs were made in ad 214/5 and 280 (The Archaeological Encyclopedia of the Holy Land). Kedesh, the northern city of Reguge. Map by Scott Richardson. This entry was posted on Tuesday, November 5th, 2013 at 8:30 PM and is filed under Bible History and Geography, Bible Study, Israel, Old Testament, photography. You can follow any responses to this entry through the RSS 2.0 feed. You can leave a response, or trackback from your own site.